After five years in the jungle, everyone else from his village had succumbed to the conditions and surrendered to the Indonesians. Only his family remained in the jungle. To surrender, Papuans had to present themselves to the local military post carrying an Indonesian flag, which signalled their loyalty to Indonesia and their willingness to live in the community under Indonesian rule. When Benny’s grandmother died, largely due to conditions in their jungle hideout, their family decided it was time to surrender for the sake of the children. Having already lost so many, Benny’s grandfather insisted that the children be taken back, telling his mother that Benny’s well-being was important, so that one day he will know what happened to us and why… and one day he will act. He would ask. His mother refused to answer his questions. ‘One day I will tell you the whole story’, was all she would say. 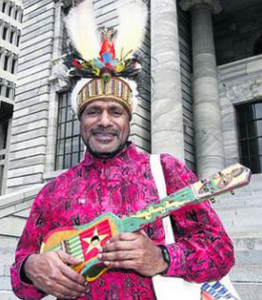 In senior high school Benny was one of only two Papuan students in the class. The others were children of Javanese and Sulawesi transmigrants. One day, the teacher directed him to sit next to a Javanese girl. He smiled and respectfully greeted her as he sat down. She turned, scowled, and spat on him. He wiped her spit from his face, feeling terrible. ‘Maybe I really do smell’, he thought. ‘I disgust her. I must not be clean enough. That must be why she doesn’t like me.’ Assuming the problem was his, and desperate to please this girl, Benny went to the shop after school to buy an extra bar of soap. He washed himself three times over. The following day, he walked confidently into the class and sat down, smiling and greeting the girl with respect. But this time she stood up, attracted the attention of the entire class, and spat on him again. The class laughed. But for Benny, questions remained. While he could speak of his own terrible experiences, he still understood very little of the broader conflict and context in which his personal suffering – and that of his village – had taken place. Frustrated with the lack of information he was provided in school, and his mother’s refusal to answer his questions, he sought out information about Papuan history. He searched the school library, the public library, the university library. But he found nothing. ‘Why do we only study Indonesian history? The history of Java, Sumatra and Bali? Where is the history of Papua?’ he asked. promised independence. 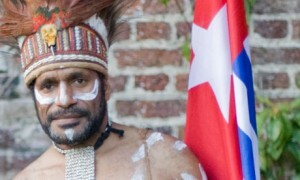 He found out about the declaration of Papuan sovereignty on 1 December 1961, about the West Papuan flag (the Bintang Kejora), the national anthem (Hai Tanahku Papua), the Indonesian invasion and the 1969 ‘Act of Free Choice’ when a small group of hand-picked Papuans were intimidated into voting for integration with Indonesia. But when Megawati became President in July 2001 policy on Papua changed. A compromised version of special autonomy was the only politically viable option. 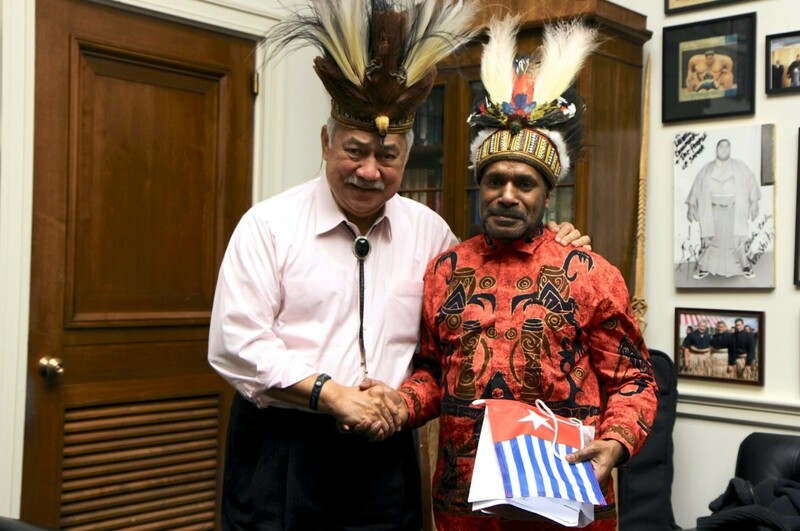 The Papuan Spring was over and the military crackdown on known ‘separatists’ began. In November 2001, Theys Eluay, leader of the PDP, was assassinated by soldiers. But Benny stood firm to Demmak’s aim: full independence. The political freedom to express aspirations for independence quickly evaporated. Once again, it became dangerous to support independence. Secret documents later discovered by human rights organisations named specific organisations and individuals that had to be ‘dealt with’, including the PDP and Demmak. 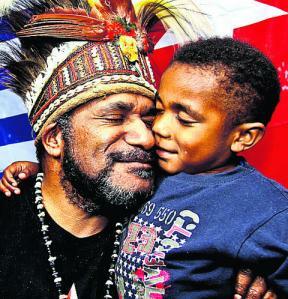 On 6 June 2002 Benny was arrested and detained in Jayapura. His home was ransacked without a warrant and the police refused to inform him of the charges brought against him. He was tortured by police and held in solitary confinement for several months. Sometime later he was charged with inciting an attack on a police station and burning two shops in the small township of Abepura on 7 December 2000, which left a policeman and a security guard dead. For his political views, Benny was being charged with a crime he did not commit. 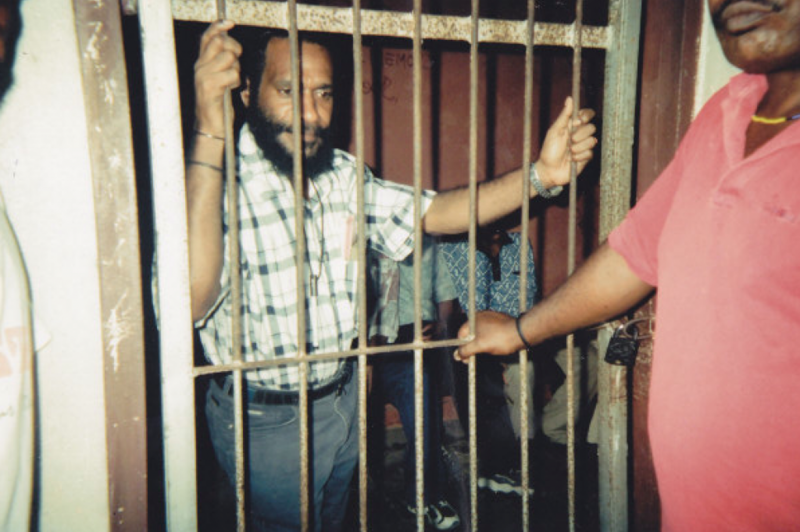 These charges related to the infamous, ‘Abepura incident’, in which violent acts of retaliation by Indonesian police were committed against the Papuan community, resulting in the arrest of over 100 people, police violence and torture in detention and the death of at least three students in the days following. Two police officers were prosecuted for crimes against humanity before the Human Rights Court in 2005 for these events, but were acquitted. Benny faced criminal prosecution for the initial attack on the police station, for inciting acts of violence and arson and was likely to receive up to 25 years in prison. Yet he was not even in the country at the time the alleged planning and execution of the attacks took place. The court was adjourned pending a decision. Conviction – or death – seemed certain. Then, in miraculous circumstances that he does not want to explain for fear of endangering the persons who helped him, Benny escaped from Abepura prison on 27 October 2002. The Indonesian police allegedly issued a shoot to kill order. 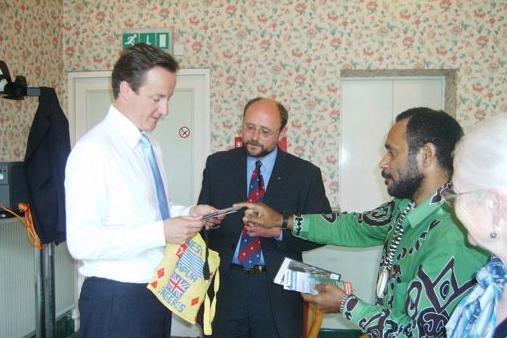 But aided by West Papua independence activists, Benny was smuggled across the border to PNG and later assisted by a European NGO group to travel to the UK where he was granted political asylum. In 2003, Benny and his wife Maria were reunited in England, where they now live with their children. Benny holds a deep and enduring belief that justice will eventually prevail, and he sees his remarkable escape from persecution in Indonesia as testament to that fact. He recognises that other freedom fighters, like Arnold Ap, Theys Eluay and Bill Tabuni, have not been so lucky. But this only strengthens his resolve. ‘While my people continue to suffer and continue to die, nothing will stop my campaign’, he says. 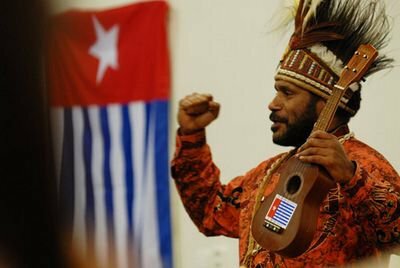 For him, there is only one way to stop the killing, and ensure that Papuans enjoy the same freedoms that people elsewhere in the world already enjoy: Papua must be independent. And to that end he continues his campaign. In 2011, the Indonesian Government issued an International Arrest Warrant for Benny’s arrest through Interpol. 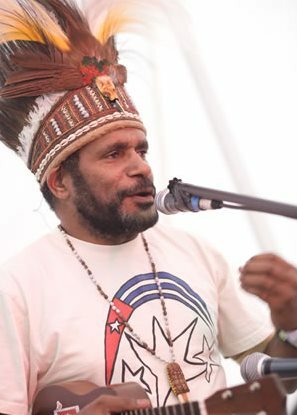 This move was widely attacked, as a ploy to silence Benny and prevent him from travelling overseas to campaign for West Papua self-determination. Fair Trials International led an appeal to have the Red Notice removed so that Benny could once again travel freely. In August 2012, in a landmark case Interpol removed the Red Notice against Benny, after an investigation concluded that the Indonesian Government had abused the system in a politically motivated attempt to silence Benny. 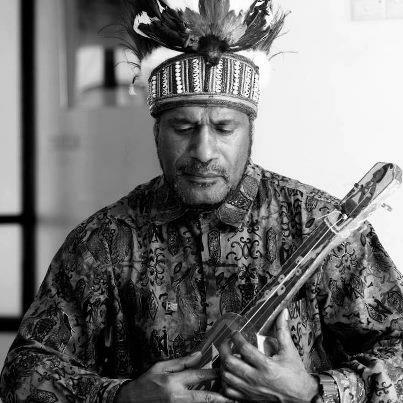 Benny Wenda has his own website: ‘The Office of Benny Wenda‘. The above text is an extract from this site.